These are open pollination seeds from a group of selected picta kept in one dedicated growing area. No records of exact parent plants is recorded. Seeds were naturally pollinated by insects and hummingbirds without my assistance. Hi warm climate. How to plant：. Transplant the seedlings to small pots when it appears that they are beginning to outgrow the planting tray. Spray the soil lightly with a mister. 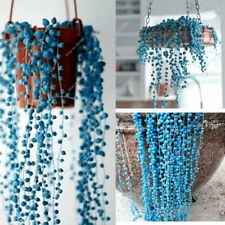 Slide the planting tray into a large, clear plastic bag and seal the opening with a twist tie. 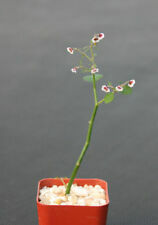 Avonia quinaria ssp.quinaria(red flower). (it doesn't needed within EU). bulb d:2-2,5cm. up to 0,5kg £ 10 0,5-2 kg £25. 0,5 - 2 kg £ 21. Variety: succulent. 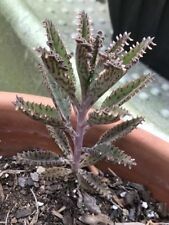 Type: Succulent Plant. Type: Bonsai. Material:Cactus Seeds. Style: Perennial. Use: Outdoor Plants. Full-bloom Period: Spring. AUD 1.52 29 sold. Seeds directly sown in the soil surface, as uniform as possible. Style:The Style Is Rndom. Photos show fresh collected seeds and new leaf growth from Bursera copallifera. Hi warm climate. Transplant the seedlings to small pots when it appears that they are beginning to outgrow the planting tray. A mix created especially for seedlings is preferable. Spray the soil lightly with a mister. (Amorphophallus dunnii). Underground structures: Corm. You are buying 1 bulb of Voodoo Lily. Uncle Chan’s Garden . 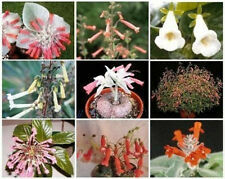 Minimum cold hardiness: Zone 7b -15 °C (5 °F) to -12.2 °C (10 °F). =================>. Specifications:material: mix seeds ,with huge surprise when you take care it to grow feature: sow in seed,not depends on itself color：shown as the picture package: 100 pcs seeds in a bag. Flitered real sunlight is most beneficial for seeds, but you can use fluorescent or grow bulbs to sprout them as well. For best results, use a premixed cactus and succulent potting soil mix. Bloom Color: Mix. Plant Info. Size : 3.5 cm. 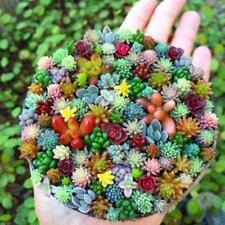 100Pcs Colorful Aloe Vera Succulent Herbal Bonsai Balcony Garden Plants Seeds !! Type: Sedum Seeds. Product Type: Bonsai. Applications: Balcony, garden, living room, study, windows, office, etc. 12 months Warranty! Except Nigeria, Hong Kong, Taiwan, Macao, China, APO/FPO. You may like. Use:Indoor Plants. Type:Blooming Plants. Classification:Novel Plant. We will try our best to provide better service for you. We will solve the problem for you. Model Number:LVFENG. Seeds directly sown in the soil surface, as uniform as possible. The month can grow into this appearance oh ~ not much. Convenient, specially enlarge picture wall, general 3-4. 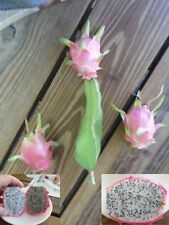 Real & Fresh Astrophytum asterias V-Type 10 Seeds From Thailand. You will get one unrooted stem! Lobivia Hybrid # 024. Plant Info. Size : 2.5 x 5 cm. Seedling on own roots, never grafted. 20 - 30 plants: 39.00 USD. 11 - 20 plants: 32.00 USD. 7 - 10 plants: 24.00 USD. 4 - 6 plants: 19.00 USD. 3 plants: 15.00 USD. 2 plants: 13.00 USD. 1 plant: 11.00 USD. 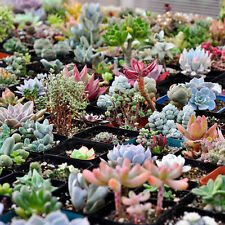 You are buying a plant similar to the photo: an Echeveria 'Chroma'. Pot size is 5.5 cm. The plant on the photo is one of the plants You will receive. Cacti and succulents need a well draining soil. Product Type:Bonsai. Use:Indoor Plants. Type:Blooming Plants. Model Number:Ball rose. Variety:Ball rose. Species:Ball rose. Applications: Balcony, garden,farm, etc. We are sure that we will give you the best solution in every single trouble that you want us to resolve.